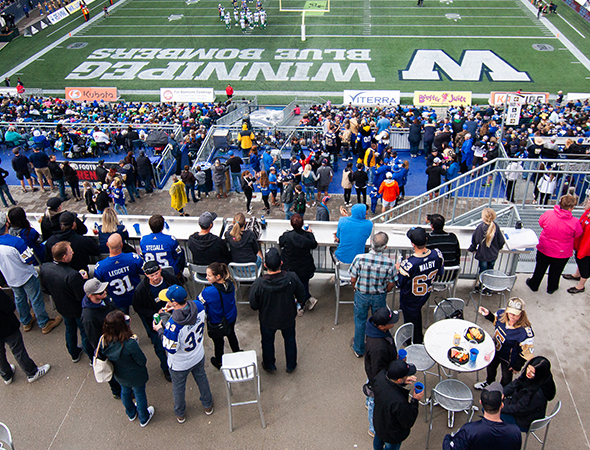 Leave a lasting impression on your guests by hosting them in a premium area at Investors Group Field. Escape from the crowd, delight your guests, and experience a special event in style. Watch the game from the luxury of a private suite or from a unique private viewing area like the DMS Industrial Sky Deck, all while enjoying exceptional food and beverage services. 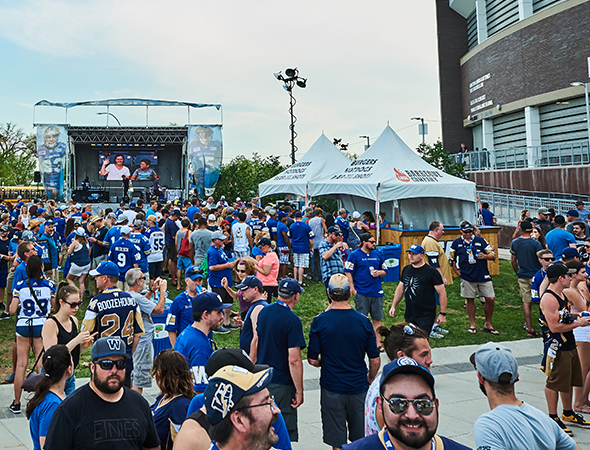 Blue Bomber corporate outings and events are built for businesses. Let our first class hospitality services team create a memorable event for your company, from a pre-game fan experience in one of our private rooms, to our Fifth Quarter post-game party in Pinnacle Club. With unparalleled service and exclusivity, there’s no better venue to host a special event with a VIP experience. Let us make the evening memorable for you. Luxury suites provide the perfect environment for rewarding your best clients and creating employee incentives that produce results. Luxury suites can host 12-60 in a private setting and with great sight lines. Luxury suites include game tickets, parking pass options, and upscale catering and beverage options. 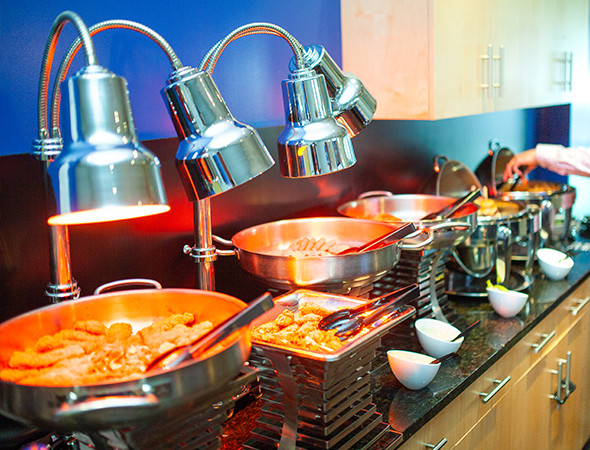 Whether it’s the biggest game of the year or a private company function, access to the event super suites will provide your company a memorable opportunity to entertain and impress. Super suites can host up to 120 people for a party they will rave about for years to come! The DMS Industrial Sky Deck overlooks the field from above the south end zone, providing a bird’s eye view of the field. This option can accommodate up to 110 people with a minimum group of 25, and each ticket includes a buffet meal for each one of your guests. 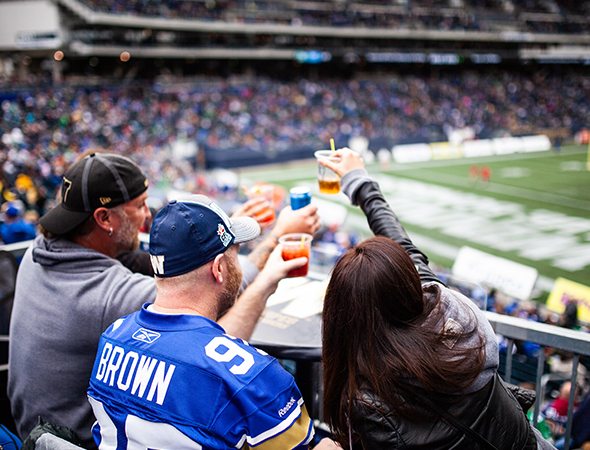 Have a party while the Bombers are crushing the opposition on the field below, there’s no experience like it! Treat your valued guests to the best we have to offer in the Pinnacle Club. Guests will enjoy a fabulous pre-game meal and can watch the action right from the sidelines in the 24-seat sideline club. Minimum of 20 tickets are required for the exclusive sideline club, which includes upscale pre-game meal in the Pinnacle Club along with popcorn on the sidelines. Sideline bar for your guests can either be host or cash bar, you decide. 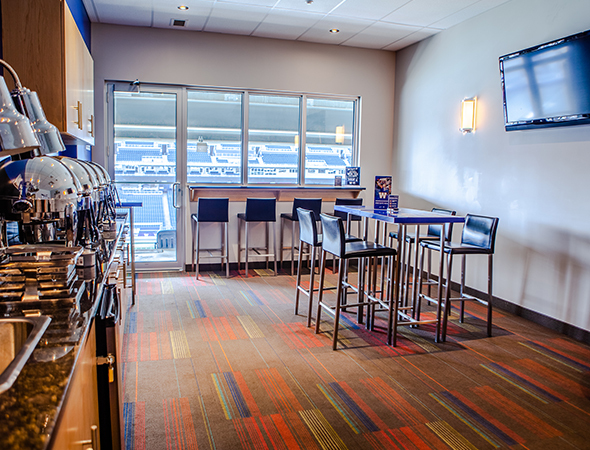 Game day loges are a great way to host people in a private area at the concourse level. Our loges seat 12 and can accommodate up to 16. Each loge includes three VIP parking passes, access to the Pinnacle Club, pre- and post-game for the Fifth Quarter Party with an option to pre-order catering, along with game day servers for all of your beverage and game day food. Touchdown loges include six tickets with the option to purchase up to two more. Looking for a great event for your next company or group function? Look no further! The Pre-game Tailgate at the Plaza party in your own exclusive Cabana prior to kickoff is the perfect solution. Enjoy traditional BBQ fare as you dine with colleagues, family, and friends during this pre-game cookout. Package includes pre-game meal with beverages and game ticket. Minimum of 25 required for reservation. Alcoholic beverages are available for an additional fee. Reservations are subject to availability. Enjoy a pre-game private reception and dinner or use one of our four meeting rooms (for up to 80 guests) starting three hours prior to kickoff. We can customize menu options for all budgets, from game day favourites to five star culinary experiences designed by Chef Paul. 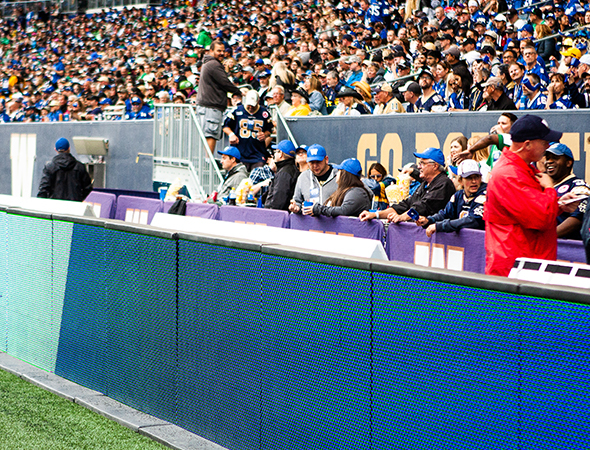 One hour prior to kickoff, your guests will enjoy pre-game field access to watch the players up close as they warm-up. Enjoy a pre-game private reception or meetings in a private room with a fully catered menu, game tickets, and an exclusive pre-game sideline experience. Select one of our four meeting rooms (for up to 80 people) starting up to three hours before kickoff for your meeting or social time with your guests. Fill out the form below or directly email Alyson Moffat to receive more information on any of our suites.